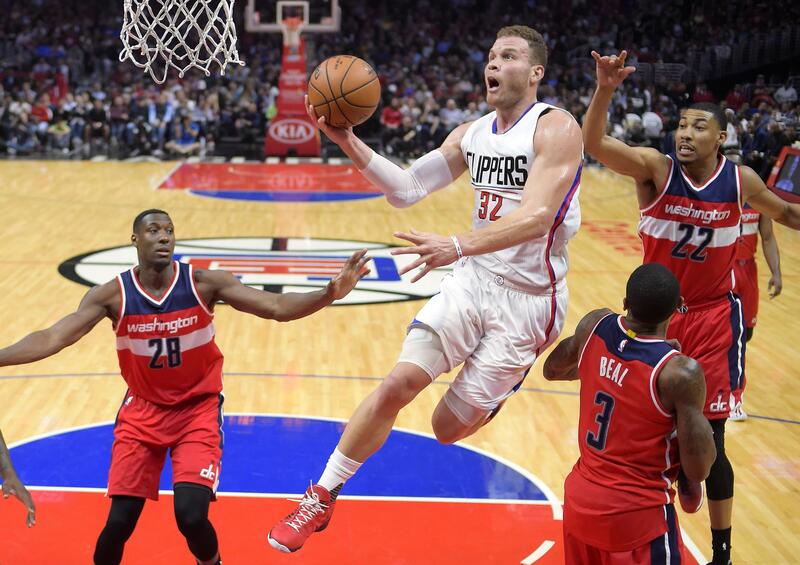 LOS ANGELES – Blake Griffin was back in his usual place, front and center on a Clippers stage. After opting out of his contract, Griffin didn’t spend the offseason toiling over whether to sign with another team – like his teammate DeAndre Jordan famously did. For Griffin, it was an easy decision to sign a max five-year deal to stay with the only NBA team he’s played for in his seven-year career. For the Clippers, the prospect of Griffin leaving as well made for a nervous stretch but it didn’t last long. Griffin quickly made a decision to re-sign for about $175 million. Doc Rivers avoided a possible rebuilding effort. Griffin, the No. 1-overall pick in 2010, is the only player to reach the 10,000 career point mark all in a Clippers uniform. He pointed to the organization’s plan, ownership, coaching staff and roster as reasons to return. Last year, Griffin averaged 21.6 points, 8.1 rebounds and 4.9 assists. He’s dealt with injuries throughout his career and is rehabbing from a toe injury. He’s expected to be ready by training camp. Los Angeles also suits Griffin and all of his non-basketball ventures. So his summer wasn’t filled with meetings with other teams. He canceled those after he met with the Clippers. Published: July 19, 2017, 2:26 p.m.